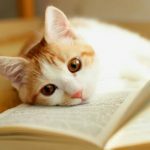 You are here: Home / Cat Health / Why Does My Cat Smell? Why Does My Cat Smell? Do you have a smelly kitty? Has your cat always whiffed a bit, or is a more recent development? Either way, you can be sure to want to get to the bottom of this stinky issue! Let’s answer that all important question – why does my cat smell? Cats are notoriously clean animals. They constantly using their tongues to bathe themselves, and seem to pride themselves on keeping their coats glossy. So it can be a surprise when you find that him a bit stinky! With all of that cleaning, you may be surprised to smell a foul odor coming from your feline. If you find yourself saying, “Pee-ew, I have one smelly cat”, there may be quite a few different reasons for the smell. In this article, we explore a few of the more common causes of these odors and help you figure out what you should do about it. If you are wondering why does my cat smell, the first place to look is in his litterbox. Cat Litter Scoop Reviews and How-To’s! Litterboxes can smell, but they really should not if you are taking care of them properly. Unpleasant kitty waste should be removed from boxes at least once a day, if not more. Litter should be completely replaced at least once a week. If you are slacking on cleaning, then you should definitely start here. Washing the box weekly or every two weeks is always a good idea too. 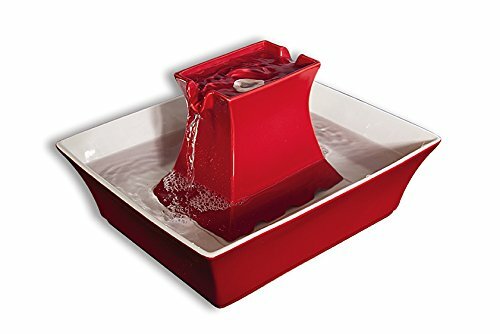 But make sure to use fragrance-free dish soap to clean the box. Stay away from citrus smelling cleaners especially, since orange, lemon, lime, and grapefruit smells are too strong for a cat’s delicate nose and they may shy away from the litterbox. 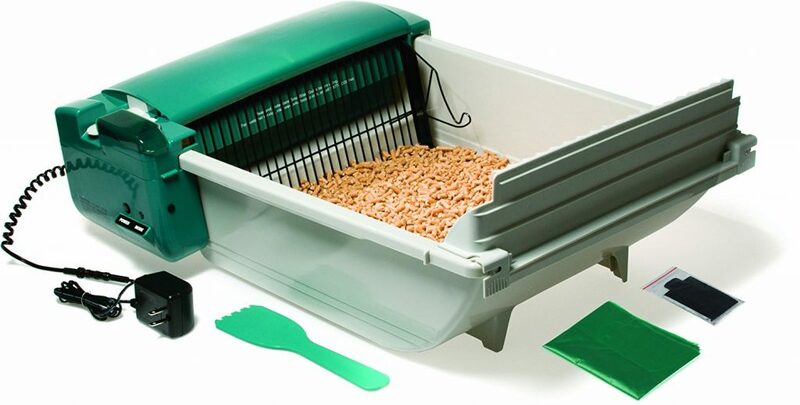 You can even buy self cleaning litterboxes like this one! Although they do still require regular emptying. If you are diligent about litter cleaning and you still get a strong whiff of ammonia when passing by the litterbox, then this is sign that there is more urea in the cat urine than usual. Urea is a digestive byproduct of protein and urea levels are typically quite high in your feline’s urine. However, strong odors are detected when urea becomes even more concentrated than normal. This often happens when there is little water passing through the kidneys to dilute the urine. Basically, your cat is probably a bit dehydrated. Make sure to provide plenty of water for your feline. 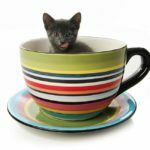 While many people choose to place water dishes next to food dishes, this might be a mistake and possibly why your cat is not drinking enough. Cats in the wild are voracious hunters and eat the prey they kill. However, they do not drink water near their hunting grounds, because the recently killed animal may have contaminated the fluid. These same instincts come into play inside your house, so make sure to set out a fresh water bowl a room or two over from the food dish. Also, instincts tell cats that running water is cleaner and safer to drink. If the litterbox smell doesn’t clear up in a day or so, give your veterinarian a ring just to be on the safe side. If you have an elderly cat, then you may want to think about switching your cat from a dry food to a wet one. Not only does kidney function decrease as your furry friend becomes a senior kitty, but middle aged and elderly cats are more likely to develop kidney stones. Wet food can add the moisture your cat needs, provide an abundance of healthy protein, and also help to make the urine more acidic. Research studies in urine composition show that acidic urine can reduce the formation of kidney and bladder stones. Additionally, kidney problems and the formation of stones can lead to elimination outside the litterbox. So this may be the cause of the icky smell you are experiencing. Improper elimination, along with the other symptoms, may suggest a kidney or bladder stone issue. A sick kitty or a smelly litterbox can leave your house smelling a bit foul. This can happen too if you notice your furry friend spraying in the house. Spraying difficulties can be stopped by making arrangements for neutering. Although you should be aware that this is not a definite cure. Once you find the problem, and also the solution, it is time to get the smell out of your home. Unfortunately, this can be quite a difficult task. You may already know this if you feverishly scrub the carpets on a weekly basis. Your best option to remove urine odors is to use an enzymatic cleaner. There are many commercial cleaners on the market, and while they do not offer a magic solution to odor and stain removal, they do a good job of getting rid of the stinky urine smells. The products contain proteins and bacteria that work together to break down the organic compounds in the urine, like the urea. The key to using an enzymatic cleaner is to spray a generous quantity on all cat stains and to allow the fluid to sit for at least 15 minutes. Blot the area afterwards, allow it to dry, and inspect it. If the stain and the smell remain, apply the cleaner again. Extractive cleaning machines that use hot, high pressure water can be helpful in removing smells and stains from carpeting and upholstery too. Have you scoured your cat’s litterbox and searched your carpet for signs of stains and smells without much luck? Do you still want to know why does my cat smell? Well, it may be your kitty’s body that is stinky. If your nose detects a foul ear odor, then you have probably found the culprit. 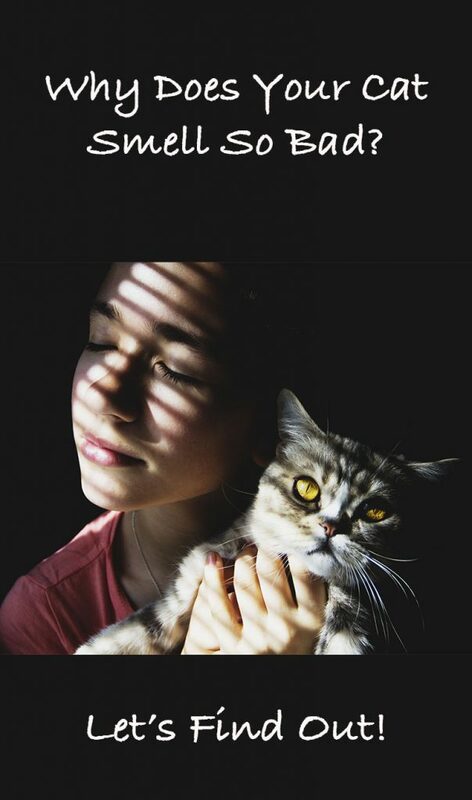 Cat ear infections are common, and the strong odor you smell will typically be musty or yeasty. If you think the odor reminds you of a freshly poured mug of beer, you are not imagining things. The culprit of this issue is yeast. Yeast infections can occur on their own when the fungal microorganism Malassezia pachydermatis overgrows in both the ear canal and around the folds of the inner ear. Like humans, cats produce earwax to help clean and protect the ears from bacteria and yeast. However, certain problems can lead to the trapping of the yeast and the bacteria in the ear canal. When the microorganisms multiply, an infection develops. If you have a child, then you may be very familiar with ear infections. Well, cats develop the same sort of problem! Cat yeast infections can occur on their own. In fact, some cats are allergic or sensitive to Malassezia pachydermatis. The sensitivity causes ear inflammation which traps the yeast and causes an infection. This can lead to a recurrent issue that is extremely frustrating for both you and your smelly cat. The good news is that research shows promising results with a dual yeast infection treatment method. The method involves antibacterial and anti-fungal medications. Speak with your veterinarian about this. Your kitty companion will thank you! Yeast infection treatments are certainly helpful and the best course of action for any pet parent. But a straightforward approach sometimes is not enough, because yeast infections may be secondary infections. A secondary infection is like when you develop a sinus infection right after a cold. Basically, the cold allows bacteria to get stuck in the sinuses, and the infection is able to develop. 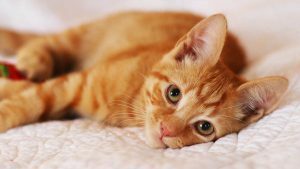 Secondary ear infections may be caused by allergies (yes, your furry feline may have seasonal allergies just like you!) or trauma (like when your cat has a scratching fit and accidentally claws part of the ear). Parasites like ear mites can cause the problem too. And so can hormone fluctuations, pieces of plants or other foreign matter stuck in the ears. Not to mention immune deficiencies. Your veterinarian will need to complete the examination to find the culprit. A simple physical examination may be all that is needed, especially if a parasitic infection is present. If you see what looks like coffee grounds or bits of dried blood all around the inner ear, then this is probably the issue. When the symptoms are not so “in you face” as a parasite issue, then bloodwork may be needed. Once a treatment plan is worked out, secondary ear infections should be a thing of the past for your smelly cat. So you’ve sniffed your smelly cat, and can’t find a specific source on him. Does your cat’s fur smell? Yeast may also be the troublemaker if your cat’s hair seems to smell. However, the smell is probably coming from the skin, and not the hair itself. The same type or microorganism, Malassezia pachydermatis, is the problem here too. If a skin yeast infection is present, then you may see yellow or brown flaking skin. You might be able to see the skin quite clearly too, especially since alopecia, or hair loss, is one common symptom of the infection. When it comes to the skin, once again, the issue is probably a secondary infection. Fleas and food allergies are common culprits, and so are specific skin allergies to products you use in the home. In some cases, your feline may have a serious disease like cancer or a tumor condition. This is one reason why it always wise to seek out assistance from your veterinarian, even if the problem seems straightforward. If you have an older cat, then skin infections may be caused by poor cleaning habits. Long haired cats especially have this problem, and you may have to start giving your kitty a bath. Check out this great guide to find out how to bathe your kitty. But what if you have ruled out litterbox, ear, and skin issues. Yet you are still wanting to know why does my cat smell? Bad breath is one more thing to consider. 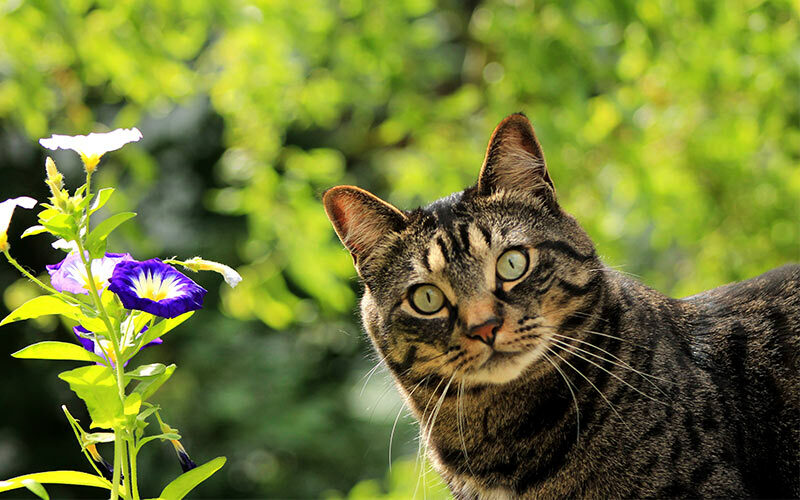 Your cat’s breath certainly will not smell as fresh as a spring daisy. However, when bad breath in cats smells far worse than the can of food you set down at mealtime, then the issue may be a more serious one. There are a few problems that can cause bad breath. The issue is often related to bacteria, gum disease or dental issues. Cats have incredibly dirty mouths containing a plethora of bacteria. Bacteria like Pasteurella multocida are responsible for causing infections in humans after a cat bite. These bacteria, which studies show can lead to septic shock cases in humans and other animals, as well as the hundreds of other strains of bacteria that are present in the mouth, can easily infect the gums. In some cases, the bacteria can cause gum and tooth abscesses as well. The most serious infections smell quite bad and may emit an odor that is reminiscent of degrading flesh or pus. Red and swollen gums are a sign of an infection and should be examined by a veterinarian. Dental cleanings and dental extractions may be necessary. If the odor you notice smells like ammonia, then your cat possibly has a uremic fetor problem. This odd sounding issue is quite troublesome and is caused by the salivary breakdown of urea. If you scroll back just a bit to the beginning of this article, then you know we have already discussed urea a bit when talking about urine. What the heck is urea doing in the mouth? Well, it is caused by poor kidney function and the buildup of urea in the blood. Kidney failure may be the underlying condition leading to this problem. Emergency veterinary assistance is required if your cat’s breath smells like urine. While kidneys are the main culprit, a bladder stone lodged in the urethra can cause this problem too. Both of these issues are serious and need immediate care. Surgery, hemodialysis, long-term dietary changes, and fluid increases are a few things that may be needed. 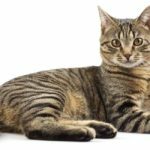 We have outlined a few of the stinkiest and also the most common cat odor issues in this article. 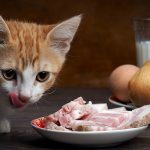 The types of odors that make you say, “Ick, what did my cat eat today,” are just part of having a fur-baby, but some smells do require veterinary assistance, and dare we say, a dreaded bath. Odors can strike at any time, so make sure to be prepared with your smelling salts and try to take a closer look at the problem. Your cat will thank you, even if your nose does not. Do you have some funny cat odor smells to share, or do you deal with a stinky cat that passes gas just a little too often? Why not let us know with a quick comment below.